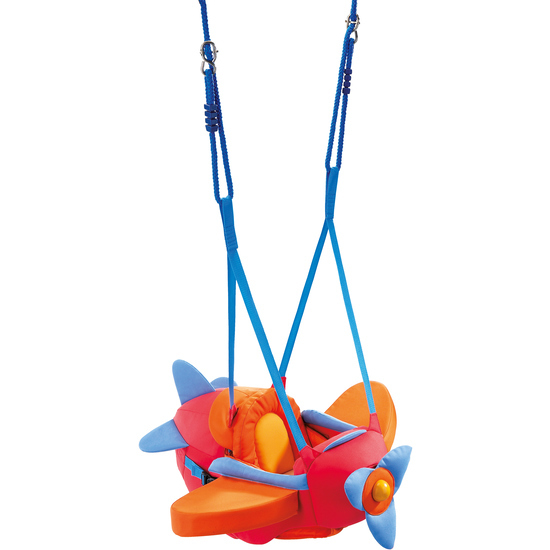 The little aircraft takes you on a swinging sweeping plane ride through the room. Why don't you make some rattling propeller sounds to accompany it? The height of the aircraft swing is adjustable. The seat can be adapted to the child's size with the adjustable straps allowing even very small flyers safe and comfortable rides. Warnings: Warning. Only for domestic use.